She knows to line up as soon as it starts. In the Turkish province of Izmir, one very smart stray dog has discovered the secret to a free back rub. A German shepherd mix named Linda visits an automatic car wash multiple times a week, according to Hurriyet Daily News. And there are no humans required. 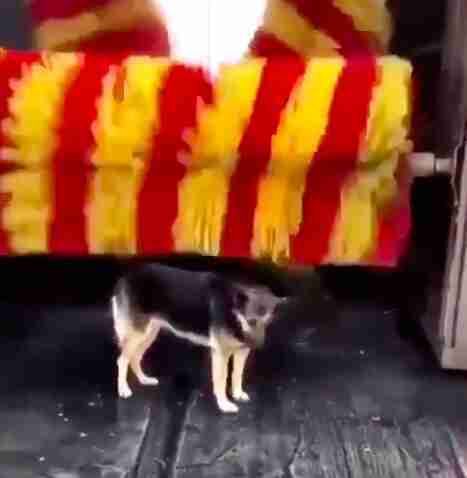 Footage of Linda’s peculiar habit surfaced on social media in Turkey this week, and since being posted to Twitter by user @clintfalin, the dog is well on her way to receiving worldwide attention. In the video, Linda is shown waiting patiently for a car to go through the automated car wash at a local gas station. The white van is covered in soap and as it progresses through the machine, it’s wiped clean by three fluffy rollers. Linda knows exactly when it’s her turn, and adjusts her body so that the yellow and red brush hits just the right spot on her back. As the brush slides up Linda’s body, her leg begins to kick in enjoyment, and she breaks out into a grin. 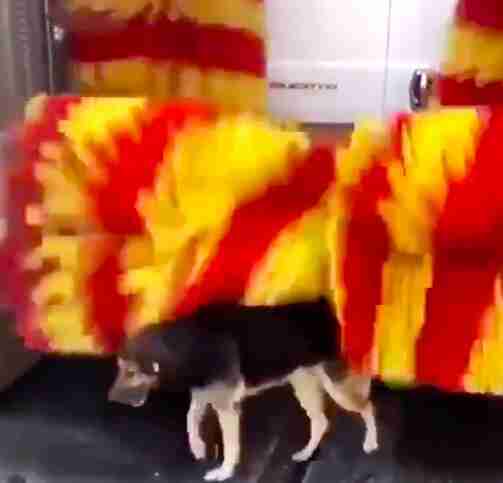 The smart pup lets the brush revolve over her, giving her the hearty rubs she so deserves. Linda is famous in her neighborhood, and people have come to expect her lining up to get cleaned as soon as she sees the car wash starting up. The smart dog has no trouble winning hearts — but clearly she doesn’t need people to get what she wants.